Honda's move to make more side-by-sides in the US underscores its incredible diversity of products. An automaker we at Torque News hold in high regard recently sent out a press release that announced it had won a diversity award. Having had a background in product management this author misunderstood the meaning of this and read on. Of course the diversity the automaker was duly proud of was that of its workforce. Meaning woman and minority employees. At that exact moment in time Honda sent out a press statement regarding a production shift to the US for side-by sides. If you have no idea what a side by side is (like the author did) read on. Honda today announced that it is moving its side-by-side production to Timmonsville, South Carolina to keep up with growing demand in the US. It previously made the products mainly in Mexico. The Mexican plant will become mainly a two-wheel production facility to serve the growing need in that region. 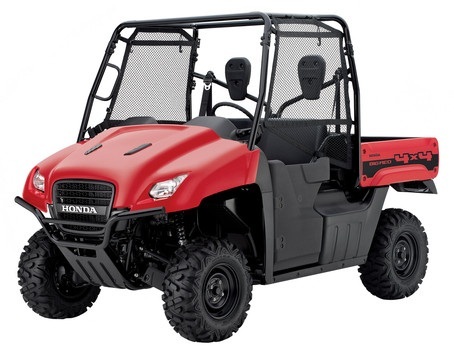 Lest you think that side-by-sides are a tiny niche product, consider that the Timmonsville plant is prepared to churn out 250,000 of these cool dune-buggy type funsters. That is about as many Accords as Honda sells in the US. And lest you think these are cheap little toys, let us tell you that they cost in the range of $12,000.00. The first Honda automobile this author bought was a 1992 Honda Civic SI. MSRP was $11,999.00. Product and market diversity can help a company survive in bad economic times, or when external forces (governments deciding out of the blue that cars should average 54.5 mpg for example) hurt sales of a given line. Honda likes us all to think of it as the underdog. A small car company with big ideas. More accurately it is a big idea company that happens to sell cars.